Blake has been photographed shooting scenes for her new movie A Simple Favor in Toronto, Canada. The film is a thriller about a mommy blogger in a small town who discovers her best friend has vanished. In some photos Blake wore an orange jumpsuit and was spotted giving her little girl a tour around the movie set as she played with her. 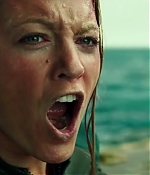 In another her face was bruised and bleeding while she was surrounded by police officers. Blake was seen talking to her director Paul Feig who is best known for his Melissa McCarthy comedies Bridesmaids, Heat and Spy. Also in the film is Anna Kendrick, Sarah Baker, Henry Golding, Glenda Braganza and Joshua Satine. 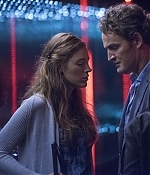 Open Road Films has acquired all U.S. rights to the dramatic thriller “All I See You,” starring Blake Lively and Jason Clarke. The film, directed by Marc Forster (“World War Z”), has been set for an August 4th, 2017, release. 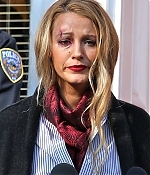 Actress Blake Lively was so anxious on her first day of shooting Woody Allen’s Café Society that she had to hold her co-star’s hand. Blake Lively was shocked when she was asked to audition for Woody Allen’s new movie Café Society because she never saw herself as “fitting in” the director’s world. The comedy drama is set in 1930s Hollywood and tells the love triangle story between Bobby (Jesse Eisenberg), Vonnie (Kristen Stewart) and Veronica (Blake Lively). 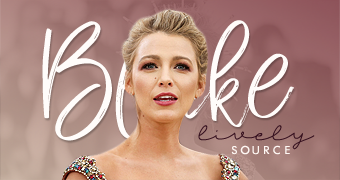 Making her name in teen drama TV series Gossip Girl, Blake, 28, has recently been branching out into more serious roles, including a recent turn as a troubled surfer in The Shallows. But she never anticipated being cast in one of Woody’s offbeat dramas, and was extremely nervous when she auditioned for the role, especially as she wasn’t given any details about the character before she read the lines for the famed director. Blake, who is married to actor Ryan Reynolds, was also extremely worried on the first day of filming Café Society as one of her first scenes had a lot of lengthy dialogue and she didn’t want to stumble on her words. “(Co-star) Parker Posey was holding my hand under the table,” she confided. “I was intimidated because he’s an iconic filmmaker. Café Society is showing in U.S. theatres now and opens in U.K. cinemas on 2 September (16).